Let’s get loud! 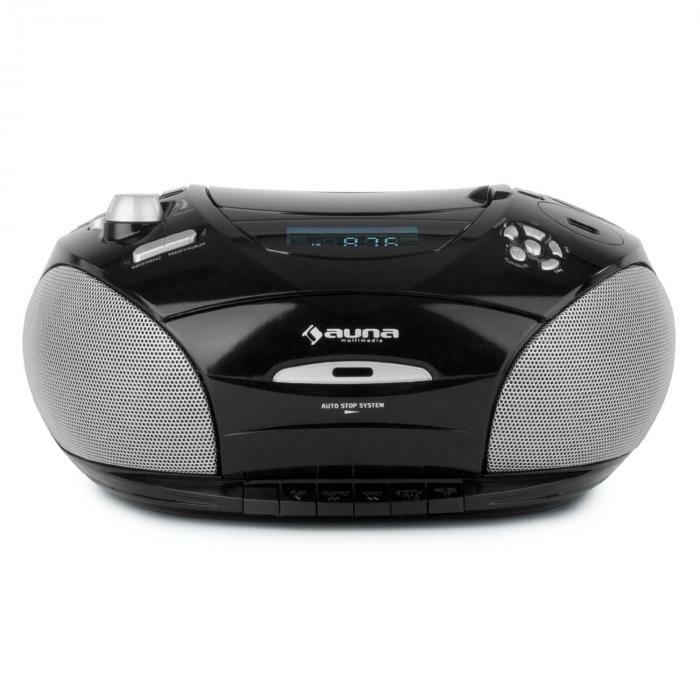 With the auna RCD220 boombox you have a device that makes sure that you always have your music with you. The auna RCD220 boombox hardly leaves anything to be desired: a top-side CD player plays CDs, CD-Rs, CD-RWs or MP3-CDs, a USB port gives access to flash drives for MP3 playback, and a front-side cassette deck allows you to play your tapes in the classic format. A memory list for up to 20 tracks and various repeat functions ensure that you won’t be bored while listening. 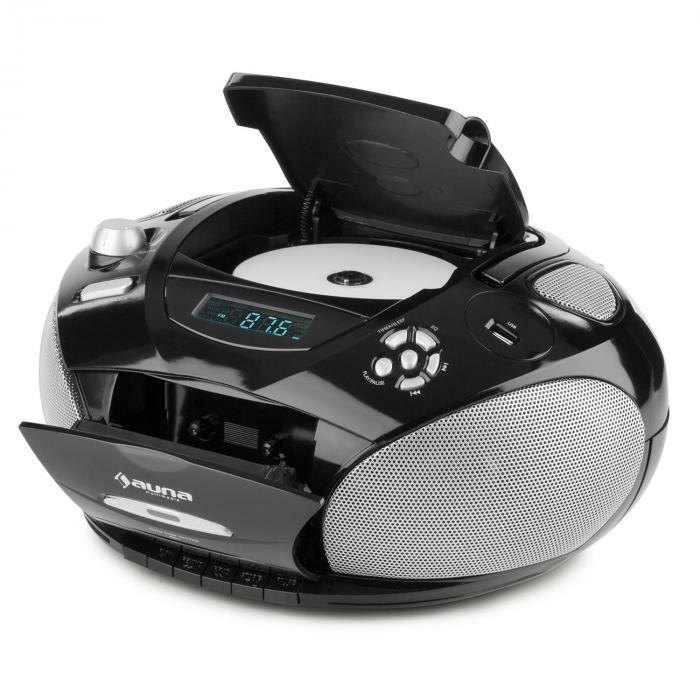 And if you don’t have a data carrier at hand, the built-in FM radio easily provides current hits or the latest news. 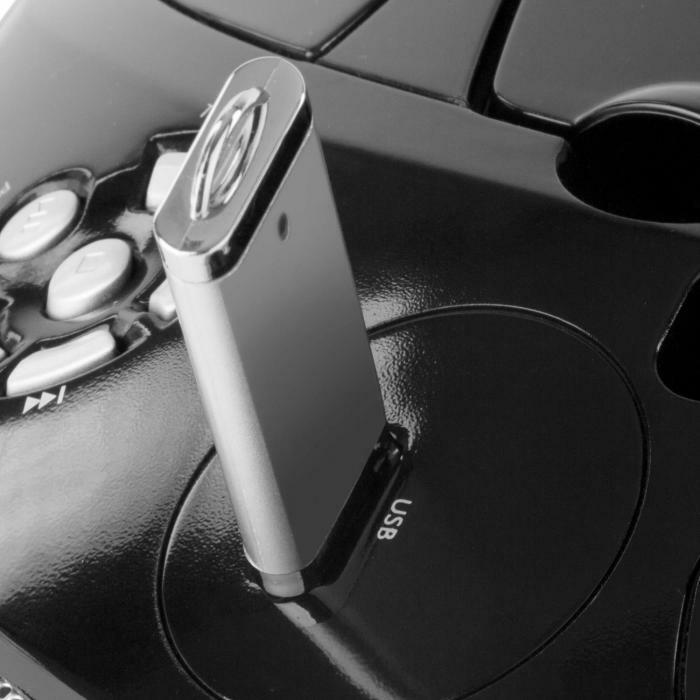 If that’s not enough, the existing AUX input easily expands the boombox further to other audio devices. The system is controlled simply and easily via the front panel with blue backlit LCD display. 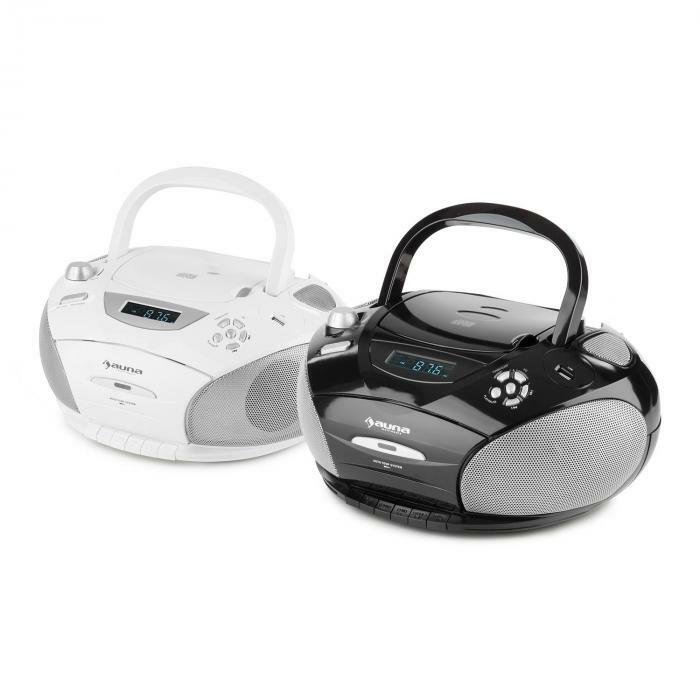 The built-in speakers and the headphone output offer the choice between loud or quiet music enjoyment - no complaints from your neighbors. 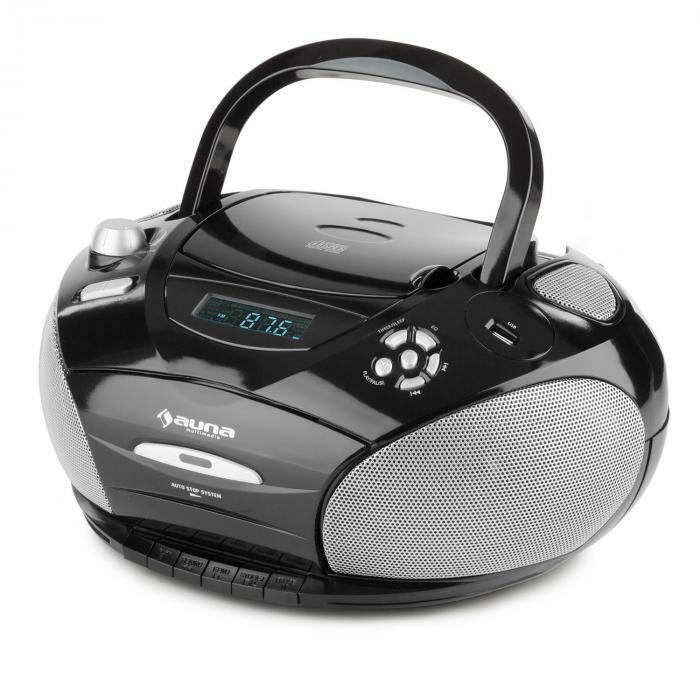 Of course, a boombox must be always ready for use everywhere. To this end, the device may be powered by 8 batteries in type C far from any mains outlet for hours of musical enjoyment. Music is passion. Time to live it! 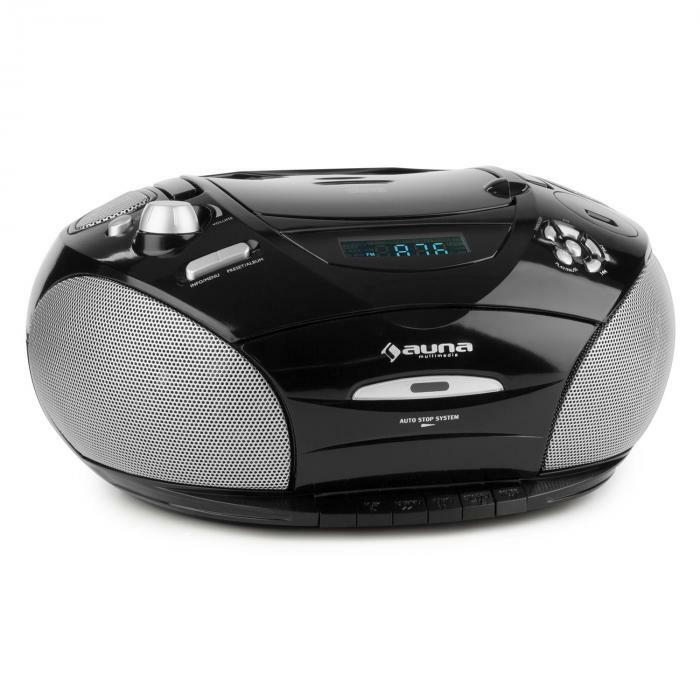 The auna RCD220 audio system is passion for your music: when you want it, where you want it. Available colours: black, white (item 10029928).